I’m proud to announce I’m working on my very first video game with a team of incredibly talented indie developers in Portland. What’s more, it’s based off a concept I pitched. Every play a dating simulator? The usual goal is to make the right choices and end up with your chosen object of affection by the end of the game. What if you did the opposite though? What if you were trying to end a relationship instead of start one? 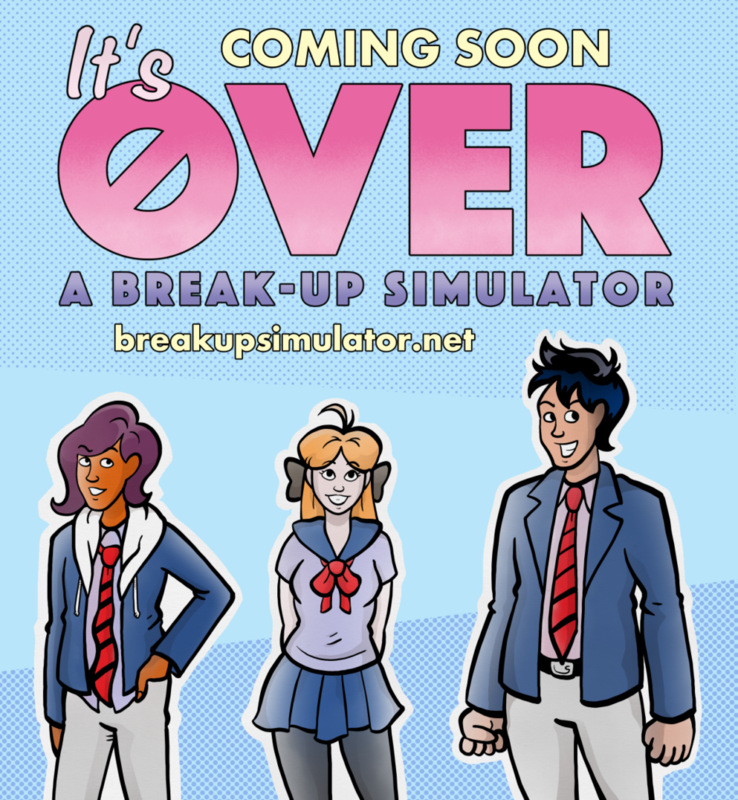 “IT’S OVER: A Break-Up Simulator” is a comedy visual novel based around the goal of ending a toxic relationship in the best way you can. Will you break-up kindly? Cruelly? Will you break-up at all? Will it be complicated? Will you say “screw it” and move to Canada? All up to you! We’re hard at work on our demo and are hoping to have it out in the second quarter of 2019. Keep an eye on our dedicated website (built by me) for future updates!